Guest blogger Iona MacLean works in the fashion industry, writes for the leading Australian fashion website The Urban Silhouette and blogs for her own Instagram account eves_leaf_blog. With a passion for the alternate, an eye for vintage gems and a love for the thrill of the hunt, she is a keen believer that there are many fashion gems in Adelaide, you just have to look in the right places! Iona shares with us her top 5 fashion destinations. The Birdcage Boutique is a gorgeous native-to-Adelaide boutique residing in the heart of two of Adelaide’s premier retail strips, The Parade Norwood and Rundle Street. Founded in 2005 by a local Adelaide family, The Birdcage Boutique has earned itself a reputation for handpicking pieces designed to tailor and reflect individuality, style and the latest trends. What local customer’s love about Birdcage is how they support South Australian labels. They stock leading SA labels such as Cameo, Finders Keepers and Keepsake, as well as supporting emerging Adelaide designers such as local jewellery line Cinquante, a label designed and hand crafted in Adelaide. You cannot walk past their shop window without oooing and aaahhhing at the clothes on display (and with their mannequins being among the best dressed ladies in town, it is not hard to see why! )The service is always friendly and not pushy! You always feel like you are getting an honest opinion from the sales assistants, earning themselves many loyal ‘birdies’ joining the flock and never shopping far from the Birdcage. 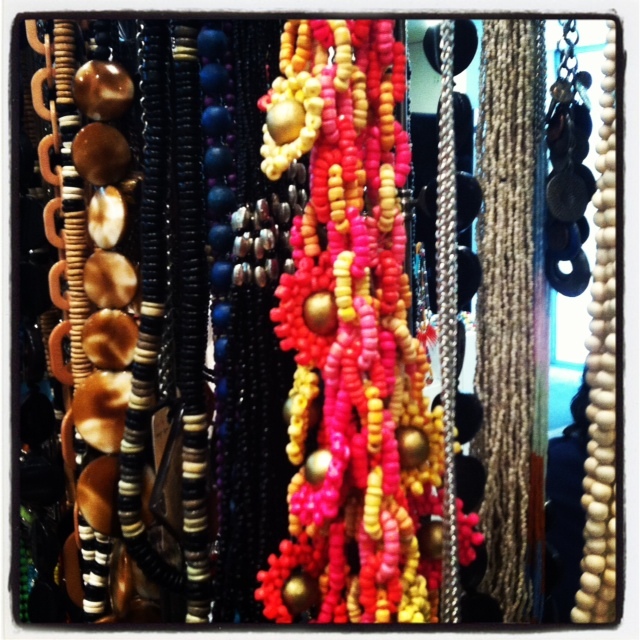 If you are an avid op-shopper you must stop by the quirks and perks of The Goodwill on Hindley Street! It is a vintage fashion hunting ground, where matchless clothes are the kill and Adelaide’s fashion hunters are almost guaranteed to find that rare ‘trophy-find’ piece to hang on the wall – or in their wardrobe as the case may be. Venture down stairs to the quirky fashion abyss and you will get lost in a world of many pasts and cultures; from 70’s 80’s and 90’s retro to beautiful traditional Indian and Chinese garments. If you love the rare find and the ‘look for less’ than Goodwill is the place for you, not to mention the friendly staff, good cause and that old vintage smell! Gilles Street Market is a must stop shop when in Adelaide! A bazaar focused on fashion and accessories, Gilles Street Markets will cater for your curious eye, displaying a range of different eclectic stalls. There are 90 stalls of vintage, retail clearance, designer samples and new designers all selling their wares. The market also provides a fantastic platform for young South Australian designers giving them the opportunity to develop their brands, style and following. The market also includes DJ’s, many home made food stalls and a family-friendly atmosphere similar to that of the Paddington or Bondi Markets in Sydney. The Gilles Street Market is held on 3rd Sunday of every month in the heart of Adelaide, at Gilles Street Primary School. Location: 91 Gilles Street, Adelaide (between King William Street and Pulteney Street). Rock & Royal is a boutique and online presence that offers Adelaide customers a diverse option of higher end yet still affordable fashions. Emily Gill, creator of Rock & Royal is a seasoned internet shopper, and was always frustrated by what was available. After a continuous struggle to find what she was searching for in Adelaide, Emily saw a gap in the market and decided that it was time for Adelaide’s designer label enthusiasts to have the access to established and sought after labels. The hand-picked garments they sell really live up to their catchy name, Rock & Royal. Rock’ symbolizing the bold, edgy and the atypical elements of their styles, while ‘Royal’ reflects the elegant, high class and refined qualities of the brand. Rock & Royal also have big things to come in the near future, with founder Emily Gill expanding Rock & Royal into a hair and beauty salon as well. So you really can get the whole runway look at one stop! 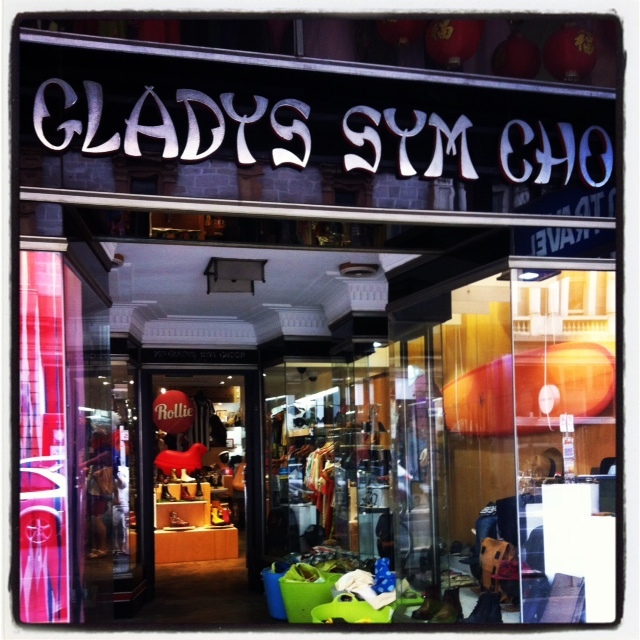 A veteran boutique in the heart of Rundle Street’s East End, Miss Gladys Sym Choon is 91-year-old Adelaide gem! It was opened by a teenage Gladys in 1923 and has remained a destination for Adelaide’s fashion savvy ever since. The shop has become a trademark to the East End with the multi level building fruiting a big red balcony with flowers and red oriental lanterns charismatically congesting the little veranda above the shop entrance. Once enticed inside, the fashions are just as quirky. Prided as a fashion shrine dedicated to Gladys, the minds behind the store source unique clothing, footwear and accessories from around Australia and the world.